“Forty-seven days in shelter, and now I’m housed! I feel blessed and grateful.” That’s the sentiment from Robert as he proudly stands in his kitchen in his own apartment. Robert, who holds a B.A. in Sociology, hails from Ohio and came to Charlotte with his cousin and extended family looking for job opportunities. He worked for years installing sheet rock until a foot injury forced him into exploring a new career as a truck driver. That is, until his injured foot took a turn for the worse. After a necessary surgery, Robert contracted an infection, worsening his condition. He found his way to Men’s Shelter of Charlotte. Once getting his basic needs met, he had the support to take care of his medical needs and connected with our Employment Team. Our staff provided regular transportation for Robert to Goodwill’s Opportunity Campus where he enrolled in a six-week Construction Services class to obtain career-advancing certifications. He has since graduated. During this time at the shelter, Robert put together a housing plan with help from our housing team. With limited income, Robert thought creatively and decided to share an apartment with another shelter guest. Sharing the apartment meant sharing the rent, a way to create affordability. Robert is also receiving a temporary rent subsidy through our Rapid Re-Housing program. 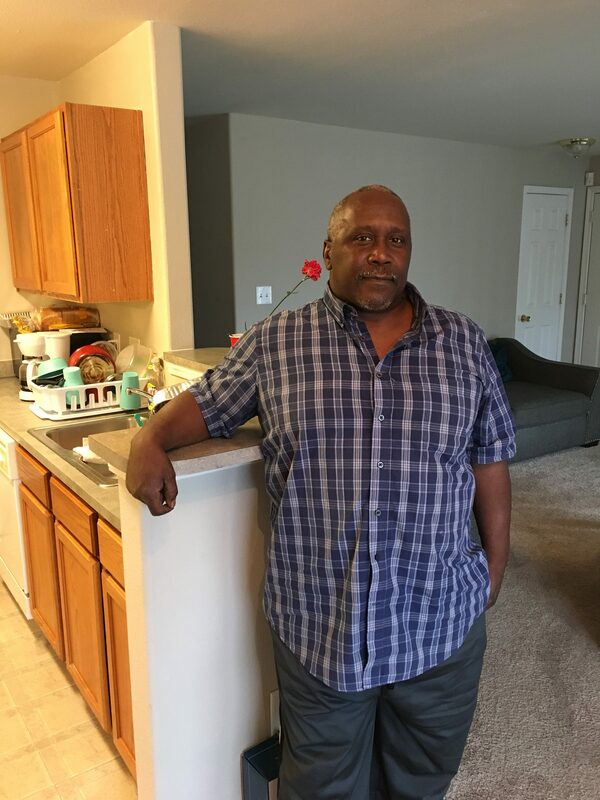 Now housed, Robert can fully recover from his foot injury and looks forward to accepting one of the job offers he’s already received through his program with Goodwill.